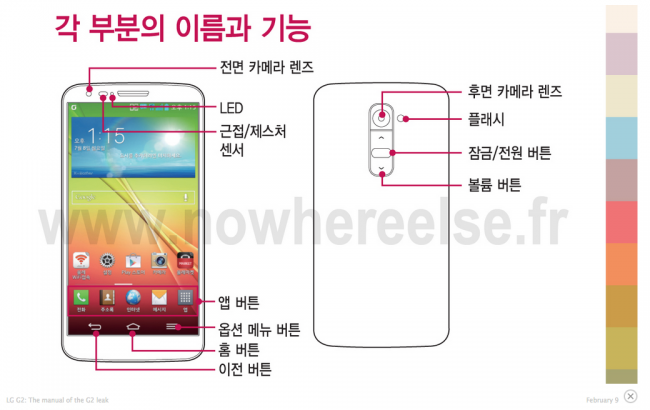 Even though the LG G2 will be unveiled at a press event on Wednesday in NYC, the leaks continue to pour in with details that we had yet to confirm. 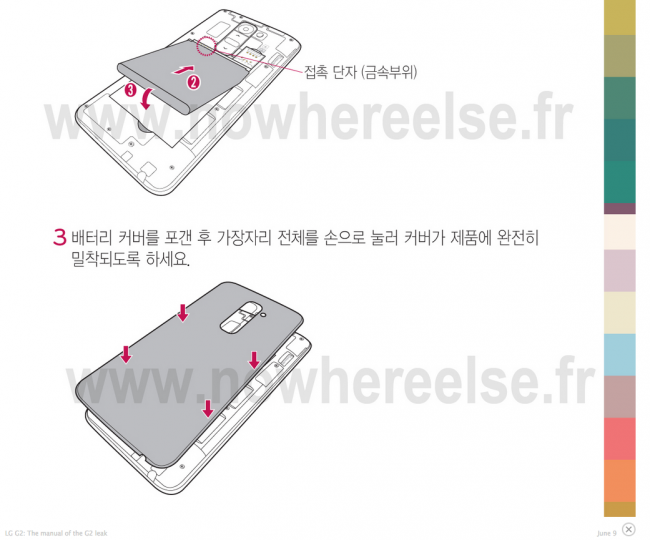 According to a leaked copy of the user guide for the device, the G2 will feature a removable battery (possibly 2600mAh), use nano SIM cards (same as the new Moto X), and contain a microSD slot for expandable storage, something only Samsung seems to want to do these days. The rest of the details have been known for some time, all of which will be confirmed in a couple of days. From previous leaks and announcements by LG, we know that the device will sport the world’s slimmest full HD (1080p) display at 5.2-inches and run a Snapdragon 800 processor. We’re also looking at an incredibly thin body with the G2, one that is so thin that they have decided to put power button and volume rocker on the back of the device, underneath the camera lens. The G2 will run LG’s newest custom skin atop Android 4.2.2 and carry 2GB RAM. All signs point to this being LG’s best device yet. The display looks gorgeous, it has on-screen navigation keys (which we’re fans of), and may arrive on all major U.S. carriers, including Verizon. To see the phone in action, be sure to check out this video.